Hey Everyone! Come join us for our 2019 Inaugural TOPSoccer State Cup! Your son and/or daughter can join the rest of the teams playing in the ASA State Cup under the lights and on the beautiful fields at Reach 11! TOPSoccer (The Outreach Program for Soccer) is a community based program that is designed to meet the needs of children and young adults that have physical and/or intellectual disabilities.The program is geared towards player development rather than to competition .The program is designed to bring the opportunity of learning and playing soccer to anyone aged 5 and older, who has a mental or physical disability. 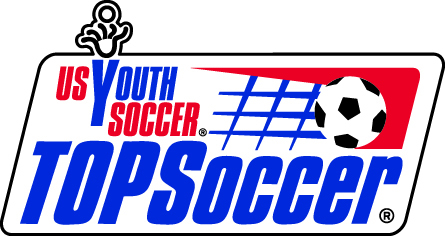 The basis of TOPSoccer is a modified version of the game of soccer, specifically altered to allow full participation and enjoyment for each athlete. Register as a team or individual! After registration is complete, we will pool the players and split into teams so everyone can participate! No uniform is required! Shin guards required, cleat optional! NO COST, FREE! Soccer is for everyone!